Seventh and eighth grade students at The Center for Academic Success participated in a science fair on February 6 in the cafeteria. 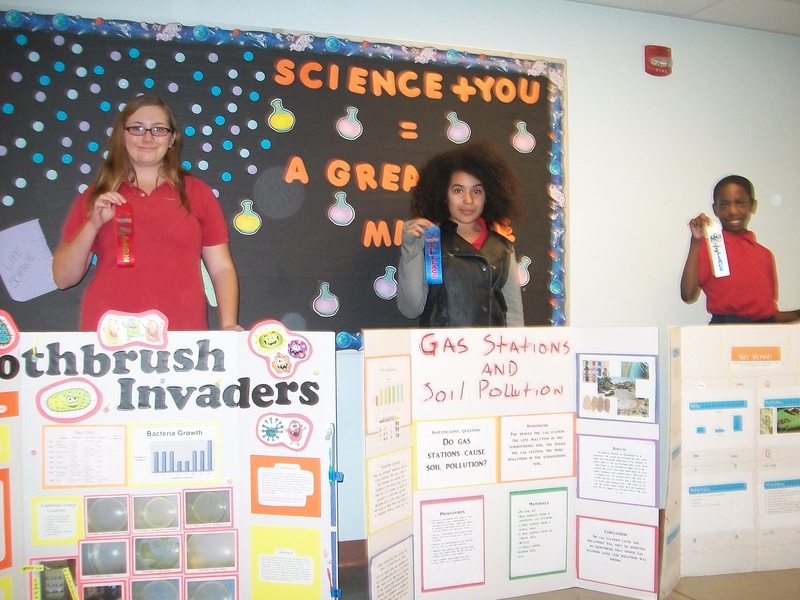 CAS holds a science fair every year; this year there were around 57 students who entered. Windy Petit, middle school science teacher, helped organize the fair and Angelica Brown, high school science teacher, Meredith Galloway, assistant principal, and Romilly Gardner, third grade teacher, acted as judges during the event. There were six winners: three seventh grade winners and three eighth grade winners. For seventh grade, Ethan Johnson won third place, Macayla Fetting won second place and Gienezza Melendez won first place. For eighth grade, Ian Sandbourne won third place, Licia Borowski won second place and Erin Gainey won first place. First place winners from both grades will continue on to the Youth Engineering and Science (YES) Fair. This year’s award-winning science projects demonstrated a unique blend of inquiry and creativity investigating the efficacy of bullet-resistant vests, environments that foster bacterial growth, behavioral patterns in canines, and soil pollution near gas stations. 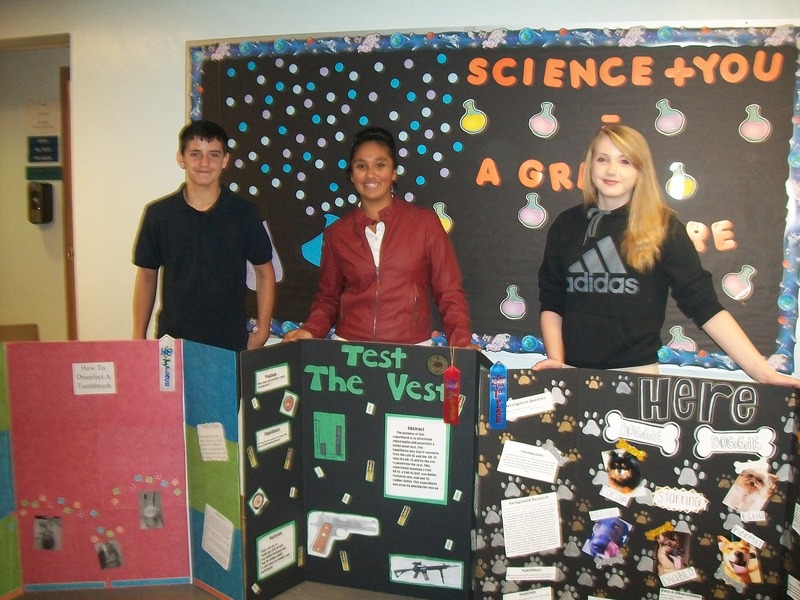 7th grade science fair winners display project boards and ribbons. According to the YES Fair Rule Book, the YES Fair is “an organized exhibit of student projects in the areas of science, research, technology, mathematics, and engineering. The YES Fair is affiliated with the International Science and Engineering Fair and follows its rules and guidelines.” The YES Fair will be held at the end of March at the Windemere Hotel and Conference Center. Students were required to include a hypothesis, materials, procedures, data/observations, results, a graph of their results, conclusions, applications and future research, a bibliography and acknowledgements on their poster boards which were displayed at the fair. All of these things played a role in the judging process.